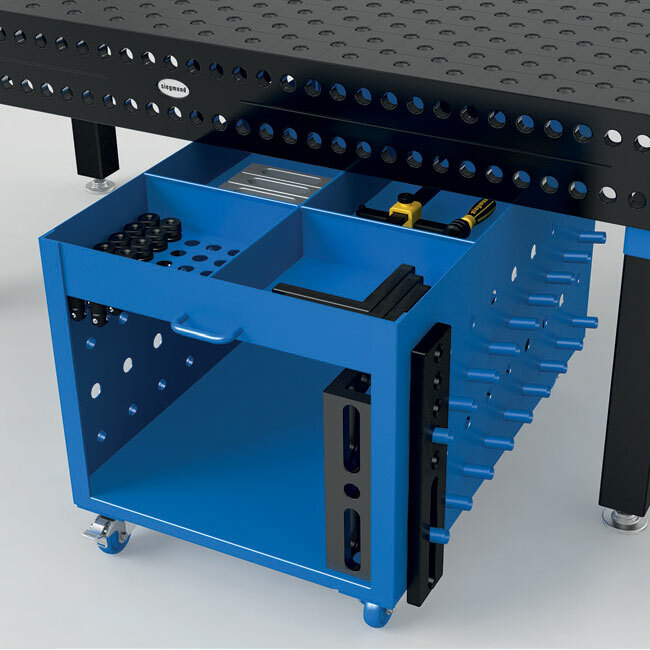 The wheeled Siegmund Tool Carts keep your parts organized and nearby at all times. 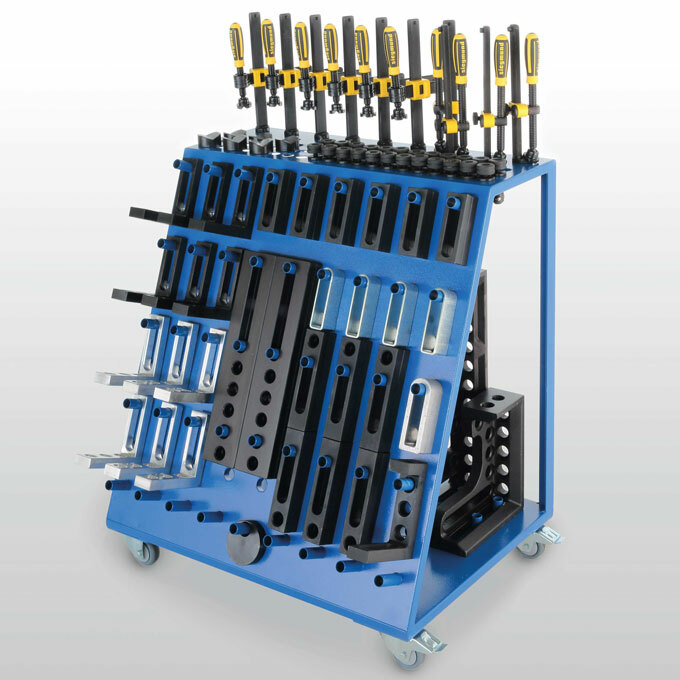 The Tool Cart (S2-280910) can store numerous clamps, bolts, stops and squares on the top and front, while the back side stores up to 8x clamping squares up to 800 mm in height. 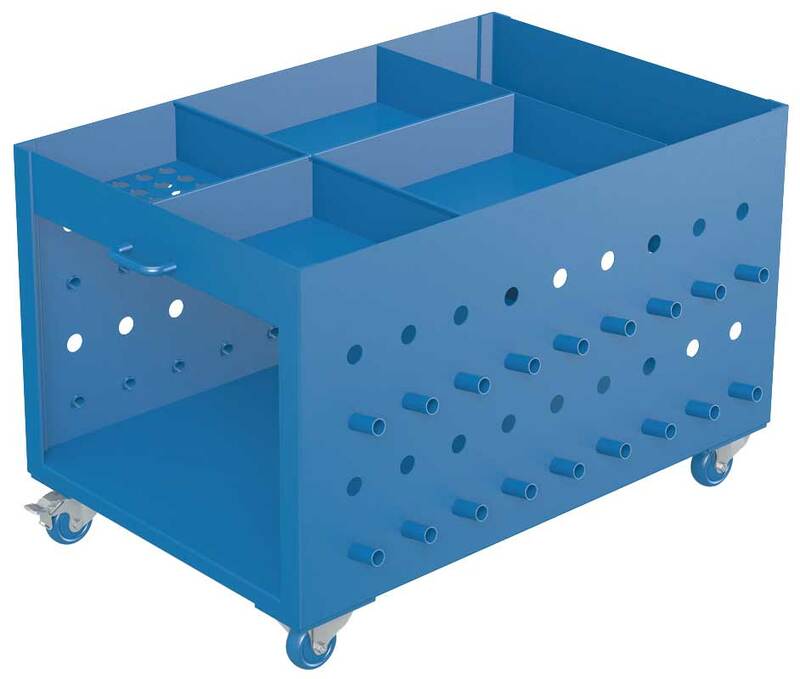 The top of this Compact Tool Cart (S2-280911) features divided bulk storage areas, ideal for storing frequently used accessories, such as clamping & fixing bolts. 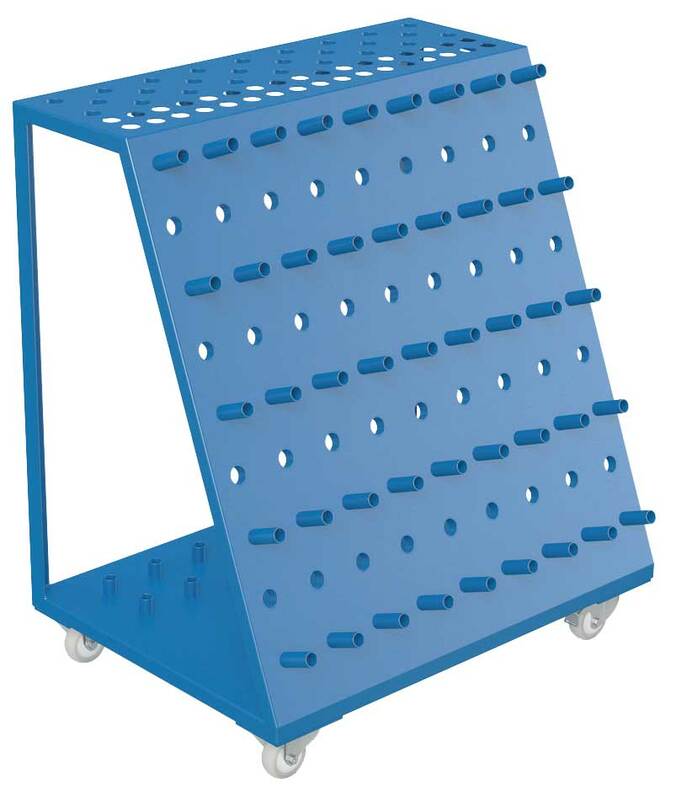 Bottom features storage for large clamping squares. 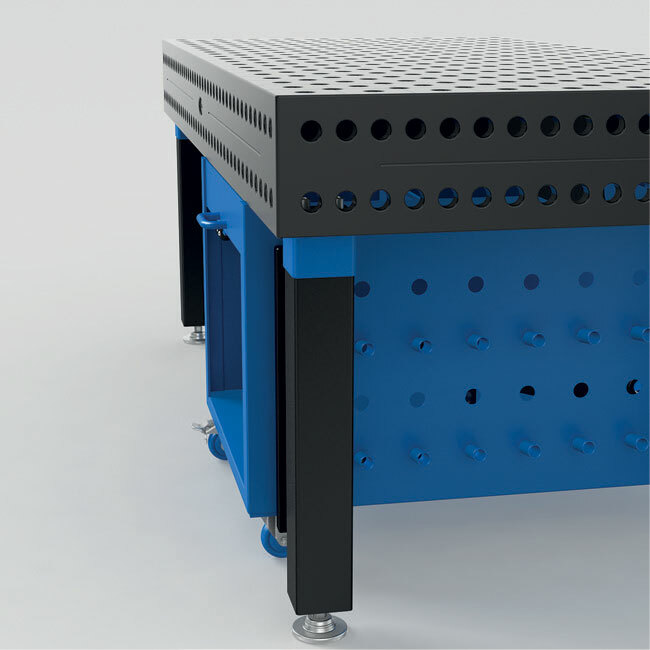 The Compact Tool Cart conveniently rolls beneath a table with 650 mm or more bottom clearance for space saving storage. Comes with 2 fixed wheels and 2 swiveling castors.